With this eye-catching, runway-ready satchel handbag purse close at hand, every day will feel like a cause for celebration. 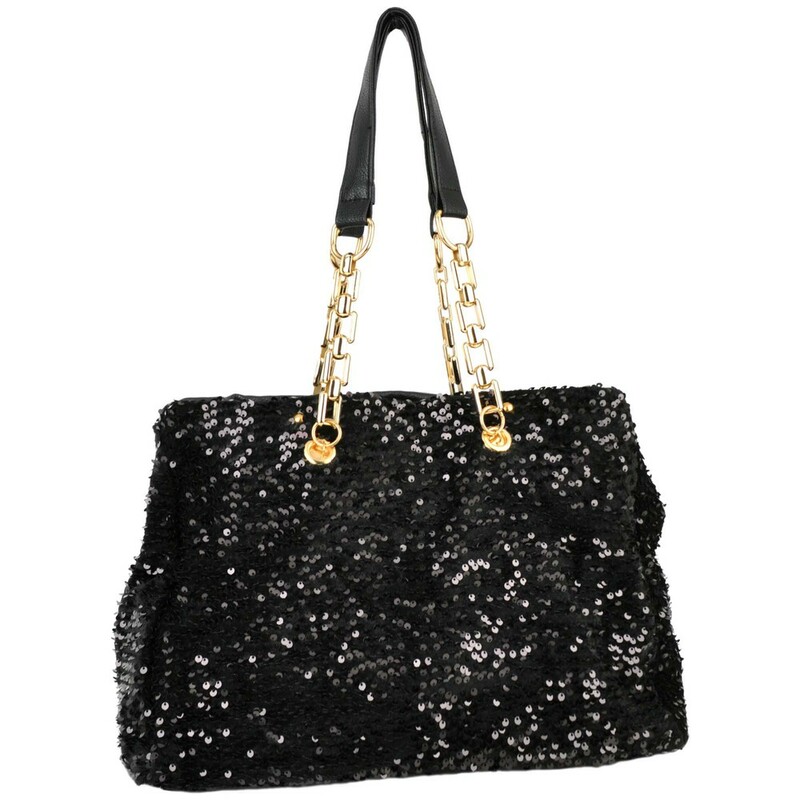 Just grab hold of this exquisite top double handle handbag or slip the leatherette wrapped chain shoulder straps over an arm, and watch the stunning black sequined front exterior catches the light and the eyes of everyone in the room. While you and this spectacular shopper tote are stealing the spotlight, you'll be ready for anything. The roomy zipper compartment of this hobo bag includes 2 pocket-style organizers, 2 zippered pouches, 1 large pocket, and 1 zippered exterior pocket on rear manmade material. Keep must-have items close and stunning style even closer with this sequined evening handbag, transforming even an ordinary occasion into a night to remember. Pair this shoulder bag with a little black dress, a flirty skirt ensemble, or even a favorite pair of jeans to add a sophisticated, glamorous edge to any look.